I've seen a few eastern wood-pewees, but didn't video any of them until Oct. 6 in Strawberry Field in Central Park. It is such a delightful bird. 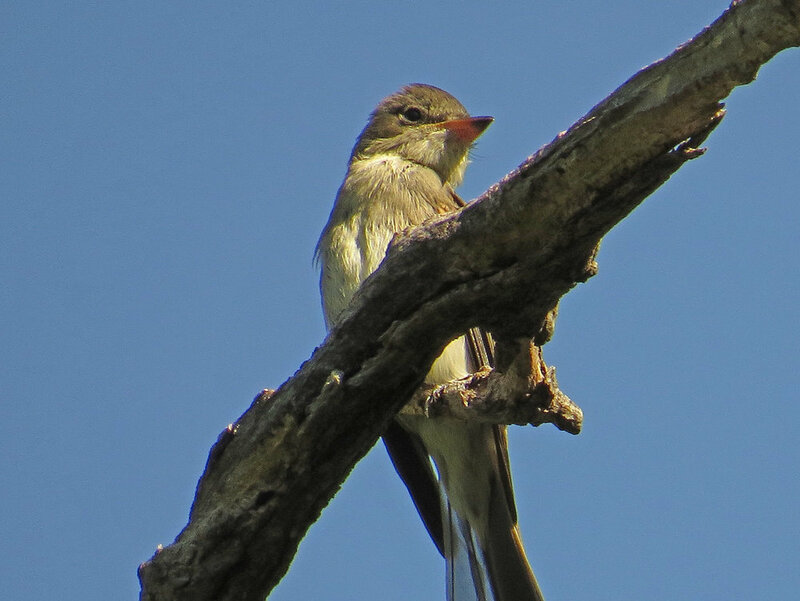 You can see this pewee perching on a dead branch, much as the Cornell Web site says they do. The Filming the Feathers video is set to the first movement of Beethoven's Sixth arranged for recorder ensemble.